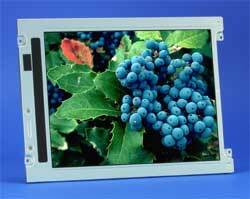 Excel Display's color STN LCDs are well suited for the latest advances in technology. Passive matrix LCDs does not reduce the digital transmitting area with transistor structures, so there is more space for both reflective and transmisive elements with in each sub pixel of a transflective color display. These displays reflect the sunlight during the day and a night the CFL backlight produces readable, clear color. Excel Display provides color STN displays for E-Book, PDA, Mobile Phone, Hand PC, Web Pad, Screen Phone, IP Phone and Smart Phone among other applications.